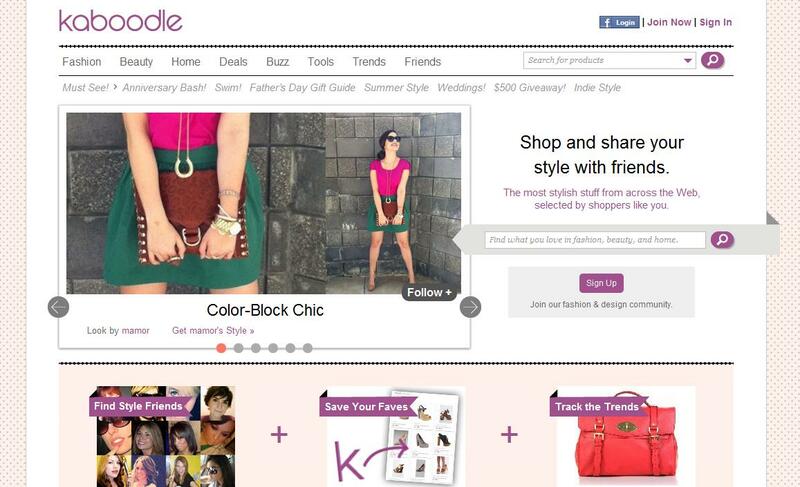 Kaboodle, the largest social shopping platform for connecting people and products, in partnership with Bloomingdale’s will present Kaboodle’s Fab at Five Fête and Fashion Show on June 7th at the chic Altman Building in NYC. The premier fashion event during Internet Week NY, Fab at Five will be a fusion of fashion and tech, celebrating Kaboodle’s five-year anniversary and the launch of its re-imagined site, which will be unveiled the same day. This invitation-only event will feature the first-ever crowd-sourced runway show, with looks inspired by styleboards created by Kaboodle community members, fashions provided by Bloomingdale’s and hair and make-up by Paul Labrecque Salon & Spa. Models include prominent fashion bloggers, editors, and influencers from the New York tech and media circles such as Yuli Ziv Founder & CEO of Style Coalition and Fashion 2.0, Grace Gold of AOL StyleList, Meghan Peters and Brian Hernandez from Mashable, Celebrity Stylist Lauren Solomon, Valerie Nome Celebrity Editor and Red Carpet Confidential Blogger at OK! Magazine, Bryce Gruber of The Luxury Spot, Katy Atlas of Sugar Laws, Jordana Bruner of Clutch22, Delmy Rivera of Fashion Bananas, Angel Laws of BUZZMEDIA’s Concrete Loop, Meghan Donovan of Wit & Whimsy, Taylor Davies of Shut Up I Love That Shirt on You, Hanna Choa Yu of Little Miss Dress Up, Lauren Brenner of Everyday to Runway, Nick McGlynn of RandomNightOut.com; and tech industry tweet-hearts Emily Gannett, Caroline McCarthy, Maya Baratz and Sarah Kunst. Additonally, DJ Rene Arsenault, who spins for some of the hottest runways at New York Fashion Week, including Cynthia Rowley, Marchesa and Catherine Malandrino, will provide the music for the models to strut their stuff to. Connect with Kaboodle on Facebook. Paris Fashion Week: Balmain Spring/Summer 2013 Collection.